"Dear Mr. Blueberry, I love whales very much and I think I saw one in my pond today. Please send me some information on whales." It's vacation time, so Emily has to write to her teacher to help when she discovers a blue whale living in her pond. Mr. Blueberry answers that she must be mistaken, because whales live in the ocean, not in ponds. 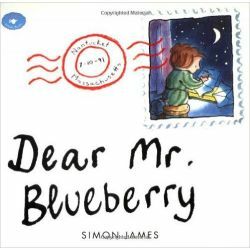 Throughout the summer, Emily and Mr. Blueberry exchange letters, until Emily has a happy surprise to share with her teacher. In the process, Emily learns a lot about whales. 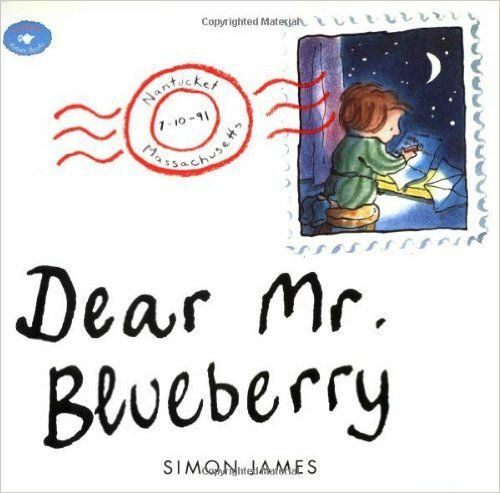 And Mr. Blueberry leans even more about imagination, faith, and love.